Thanks to a reminder from Daytrotter, I’m streaming part of Tame Impala’s Innerspeaker (rel June 28, 2010 by Modular Recordings). Unbelievably cool, otherworldly chill-groove with creamy distorted vocals reminiscent of Nada Surf’s “Fruit Fly”, Innerspeaker, mixed by Dave Fridmann (MGMT, Flaming Lips), is a sonic adventurpiece that will have your mind doing cosmic cartwheels. Watch this video for “Lucidity”, directed by Robert Hales. See Tame Impala live during their United States & Canada tour, which begins on November 16 and ends at the Echoplex in Los Angeles on December 14th. Buy tickets on Tame Impala’s website. 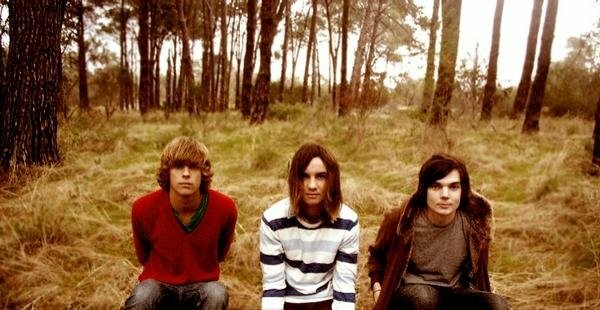 Download Tame Impala’s October 12, 2010 Daytrotter session. This entry was posted on October 12, 2010, 16:35 and is filed under Records, Tours. You can follow any responses to this entry through RSS 2.0. You can leave a response, or trackback from your own site.